What is personal data in an age when our data is everything but personal? Our websites, apps, social media and ‘smart’ devices all thrive on the same thing that makes tech companies billions – data. Not just any data, but our data. In 2030 there will be an estimated 125 billion connected devices – 14 for each person. That’s a lot of smart toothbrushes. Will all these new technologies really make our lives more efficient, healthier and safer? The Glass Room Experience explores the companies and mechanisms that make our everyday technologies as well as connect the Internet of Things (IoT). The Glass Room Experience is an exhibition created by Tactical Tech in partnership with Mozilla. It is an accompanying event with the Social Tools conference theme due to the ongoing interplay between decentralization and privacy. The Glass Room Helsinki rendition will take place at the Kamppi Metro station platform and will be available to all passengers. The opening will take place on Wednesday, September 26th from 17:00 to 19:00. During this time you will have a chance to meet Rebecca Aimee Slip, a Tactical Tech crew member, and grab a Data Detox Kit. 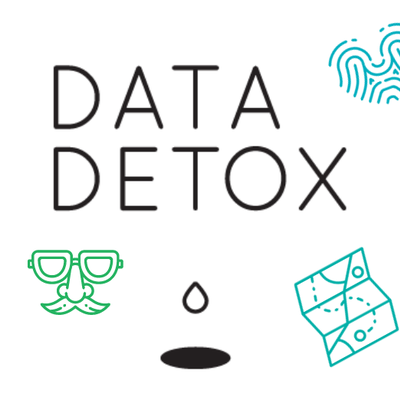 Data Detox Kit, is an 8-day tutorial on turning your digitalself into healthier and more in-control. Rebecca and the kits will be also available the day after on Thursday, September 27th from 11:00 to 13:00 at the Kamppi Metro station platform, and on Friday, September 28th from 18:00 to 21:00 at Juttutupa. The exhibition will last until the 14th of October. The exhibition is supported by the Goethe-Institut Finnland.